If the care you receive from a doctor, surgeon, or any other healthcare professional falls below an acceptable standard and as a result you suffer illness or injury, or exacerbation of an existing illness or injury, you have the right to claim compensation for your pain and suffering and associated financial losses. The medical negligence team at Wellers’ Law can help you understand whether you have a claim against a doctor or the NHS. We offer a free, no-obligation first meeting so that you can tell us about your treatment and we can work out whether your claim is likely to be successful. You can contact the team on: 020 8290 7958 or email us. Alternatively fill in our short online form and we will contact you. All healthcare professionals, doctors, dentists, physiotherapists, midwives etc., have a duty of care to their patients. This is the practitioner’s legal obligation to safeguard patients from harm while in their care. If you go to see your doctor at a GP surgery or you are being treated or cared for in a hospital or other medical practice, there is a prescribed and legally recognisable level of care that must be met. When things go wrong and you suffer damage as a result, you may wish to make a medical negligence claim. There are several types of claims which can be made in respect of healthcare and doctor failures and each is subject to a three-part test to establish whether negligence played a part in the causing of harm to the patient either through specific actions or inactions. Was the claimant owed a duty of care? Can a breach of that duty of care be established? Has legally recognised harm occurred as a result of that breach? If your circumstances meet the above criteria, then it’s possible that we will be able to pursue a claim for you. Our medical negligence solicitors are extremely experienced and will be able to ascertain your likely chances of success so that you can decide whether you would like to proceed. There are numerous types of actionable doctor, surgeon or hospital healthcare failure. Doctors and medical staff have a duty to take all reasonable steps to ensure correct diagnosis of their patients. Failures in diagnosis can result in delayed treatment, incorrect treatment or no treatment at all. On occasions this can be fatal, particularly in cases of cancer. Whether it is the result of an initial failure on the part of a GP or because of the negligence of a specialist or A&E doctor, failing to correctly examine a patient can result in worsening or progression of illnesses and injuries. If you have not been properly examined and this has adversely affected your health – perhaps because it has led to delayed diagnosis and delayed treatment – you may be entitled to claim compensation. If you have specific symptoms or health concerns, your GP or specialist may be obliged to order certain blood, urine, stool, DNA, MRI or other testing in order to make a diagnosis. If a clinician has failed to organise appropriate testing in a timely manner and this has caused you suffering or affected your prognosis or long-term health you may be entitled to claim compensation. Misdiagnosis of an illness or injury can have catastrophic consequences and may lead to incorrect or no treatment. In the cases of progressive illnesses such as cancer, the consequences can be traumatic and even fatal. If you or someone close to you has suffered misdiagnosis of a medical condition or injury, you may be entitled to compensation. A delay in treatment can have a significant impact on your prognosis. Whether you have suffered delayed treatment because of incorrect diagnosis, a failure to refer, an administrative error, or other circumstance, you may be entitled to compensation. If you have been prescribed the wrong medication or have been given an incorrect dosage and this has caused you pain or suffering you may be entitled to compensation. Other examples of medication-related medical negligence include incorrect labelling of medication, computer/administrative errors, delivery errors and mistakes relating specifically to warfarin/heparin dosage. Doctors and hospitals have a duty to provide and arrange suitable treatment for injuries and medical conditions within reasonable timeframes and there are recognised guidelines for maximum waiting times from referral to treatment within NHS-run services. If you have suffered as a result of a failure in this regard and your condition has worsened as a result, you may be entitled to compensation for your pain, suffering, lost earnings and expenses. GPs and consultants regularly refer patients for specialist treatment or investigation of symptoms. If a delay or failure in this regard has led to a worsening or complication of the symptoms and conditions affecting you, you will understand the trauma of this situation. Whether you have suffered as a result of a failure to refer, perhaps an X-ray would have expedited treatment, or you have been referred to the wrong consultant or department, you may be entitled to compensation. Every patient has a right to a competent level of care from a qualified and registered practitioner. If you have suffered as a result of negligent care from an unlicensed doctor, surgeon or practitioner you may be entitled to compensation. All medical professionals must weigh up the consequences of performing any medical procedure on a patient to whom they have a duty of care. If they are not trained to carry out a certain procedure or the procedure would be deemed unnecessary or unsuitable by another medical professional and something goes wrong which causes harm, they could be held accountable for their actions. Both NHS and private healthcare practitioners have a duty to act upon test results and to pass on important information provided by other healthcare professionals. If you have suffered because of a failure in this regard, you may be entitled to compensation. Any abnormal test results as indicated by laboratory values should be followed up. Failures in this regard can lead to diagnostic negligence, delayed treatment and poor prognosis. If a clinician looking after you has failed to follow up or act upon test results and you have suffered as a result, you may be entitled to compensation. Doctors and consultants have a duty to warn patients of the inherent risks of surgical procedures, including anaesthesia. 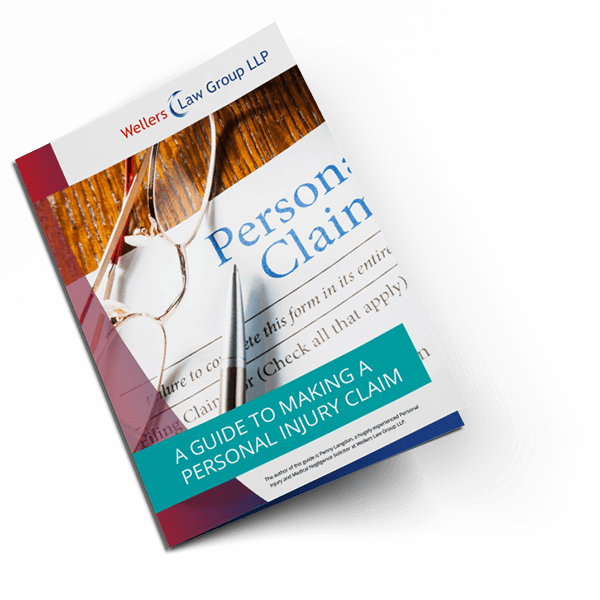 If it can be proved that you would have chosen not to undergo a procedure or operation had you been properly informed of the risks, you may be entitled to claim compensation. There are around 1.5 million surgical procedures performed under the NHS each year. Unfortunately, although statistically rare, some of these are performed negligently on the wrong body part. If this has happened to you, it is likely that you would be deemed deserving of compensation. Although this sounds completely horrific, it is possible that during a medical procedure items such as medical instruments and swabs or gauzes can be left inside a patient. When this happens, the object can cause a worsening of symptoms or create serious complications such as puncture wounds, internal bleeding, damage to internal organs and septic shock. Typically, another surgical procedure will be needed to remove the foreign object. In most instances, and especially if you have suffered further pain and worsening of your condition, you will be entitled to compensation. Doctors and surgeons must perform to a level consistent with that of a reasonable, similar practitioner and whether a procedure is exploratory, emergency or otherwise, a failure to identify abnormalities is a serious surgical error. If you suffer illness from a condition that should have been identified during an earlier surgical procedure, you may be entitled to compensation. All surgical procedures carry risk, however surgeons and clinicians must perform to a reasonably competent level. If you have sustained avoidable damage to tissue, nerves or muscle because of the negligence of a surgeon or medical professional, you may be entitled to compensation. Emergencies during surgical procedures are often an inherent risk and may be complex and difficult to handle. However, theatre teams should have emergency procedures in place and should be trained and competent in using specialist equipment to cope with incidents such as major blood loss or cardiac arrest. If you have suffered as a result of an inadequate response to an emergency during a surgical procedure or because of a failure to reasonably foresee its occurrence, you may be entitled to compensation. The success or otherwise of a procedure depends on more than the surgical intervention itself. For most patients, follow up care and the identification of any problems is also essential to achieving a positive outcome. If you have suffered as a result of any failures in this regard you may be entitled to compensation. Poor hygiene standards amongst theatre teams or when any invasive procedure is carried out can cause the spread of bacterial infections such as MRSA. If you have contracted an infection during a surgical procedure and this has caused pain or suffering, or exacerbated your condition, you may be eligible to claim compensation. This list is not exhaustive and you may feel that you have suffered harm as a result of some other form of medical negligence. Contact Wellers today and we will discuss your circumstances. Harm, in medical negligence claims, means physical and/or psychological damage; it can also encompass emotional damage, financial loss, loss of dignity or the loss of a legal right. When making a claim for medical negligence compensation we have to prove that the harm you have suffered was caused by the actions or inactions of the medical professional or healthcare team responsible for your care. This is known as causation and it can be a very difficult and complex matter to prove. For instance, you may feel your GP failed to examine you properly when you were feeling unwell and you later developed an illness which meant you could not go to work for six months. It would be up to you, and your medical negligence solicitors, to prove that your GP failed in his duty of care and this failure was the direct cause of your financial harm (in this case, loss of wages). If another GP agreed that the symptoms you presented to your GP in the first instance would have been inconclusive and that it could not have been foreseeable that these symptoms would lead to an illness which would cause you financial harm, then it is unlikely to be successful. No two medical negligence claims are the same, so it is important that we take the time to understand your circumstances before we decide whether you have a chance of making a successful claim. We consider the impact on your life and your family if they have had to care for you and particularly if you will continue to need care. We are members of the Association of Personal Injury Lawyers (APIL).Please note that we cannot offer Legal Aid.